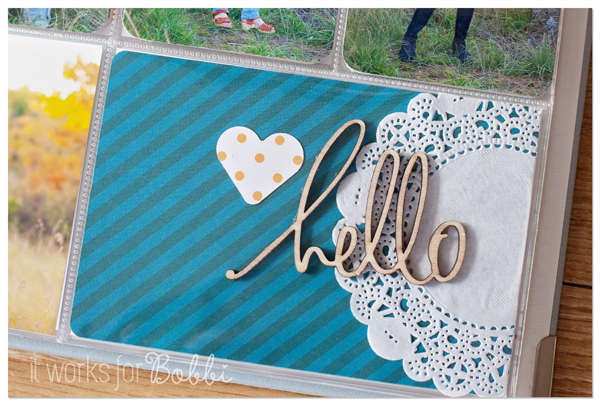 February Project Life Blog Hop! – It Works For Bobbi! 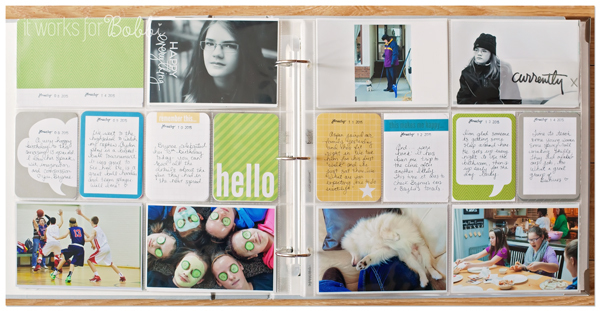 February Project Life Blog Hop! 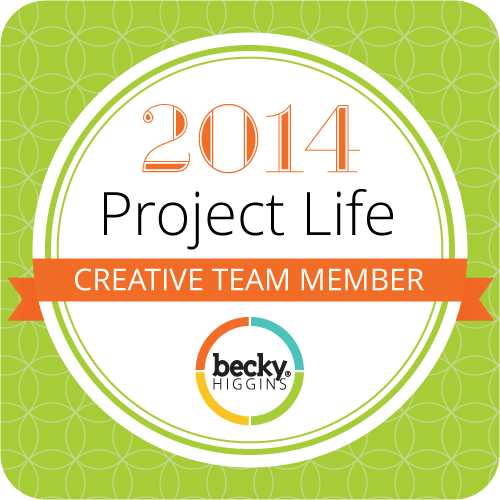 Published on February 9, 2015 August 9, 2016 by Bobbi-Jo G.
Welcome to the second of 12 Blog Hops from the 2014 Becky Higgins Project Creative Team! 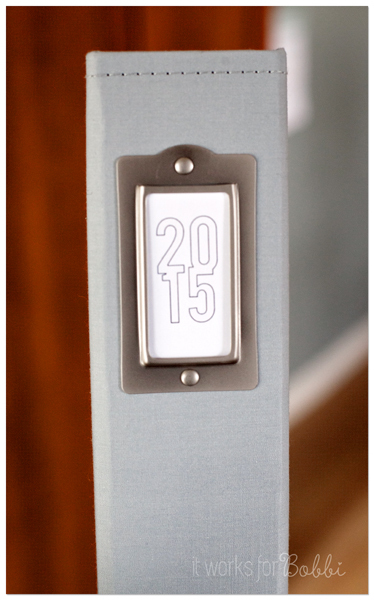 each other and you as we move forward in 2015.
using cards from the Slate kit. Here are a few of my January spreads – as you can see I don’t stick to one kit or one formula – it’s whatever mood strikes me. Sometimes I type on the cards, sometimes I handwrite. 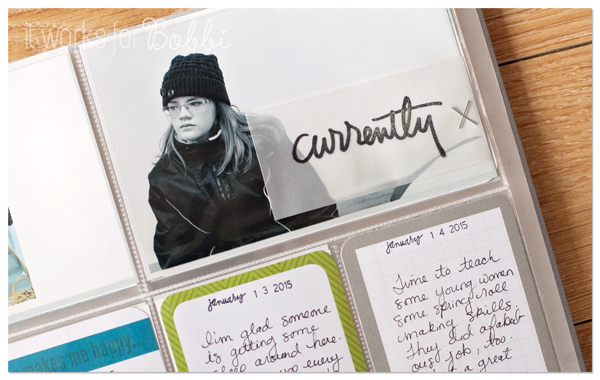 Sometimes I add overlays, sometimes it’s washi tape, sometimes it is nothing but the photos. And guess what? I love all of them! 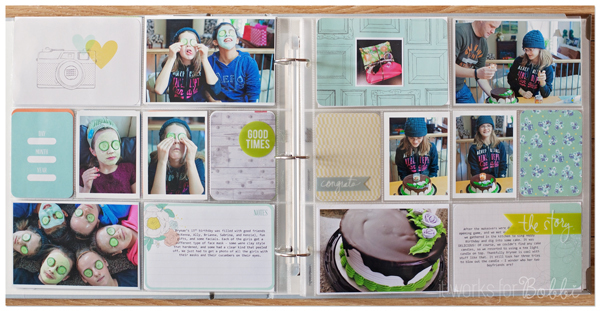 My memories are documented and preserved. It makes me so happy! I like to stamp onto vellum and attach over my photos. My favorites seems to change with my mood, but basically – this is what I like to use consistently. What are your favorites? Gorgeous!! Love the way you used the vellum with the stamp. Those photos of the girls with cucumbers on their eyes made me smile. Too cute!